Brixton is full of known and not-so-known foodie gems, and one that I’d been state secret guarding has been rudely blurted by Time Out to all and sundry. But not without reason – they’ve gone and dubbed Boqueria winner of the coveted Best New Cheap Eats category in their 2012 Eating and Drinking Awards. 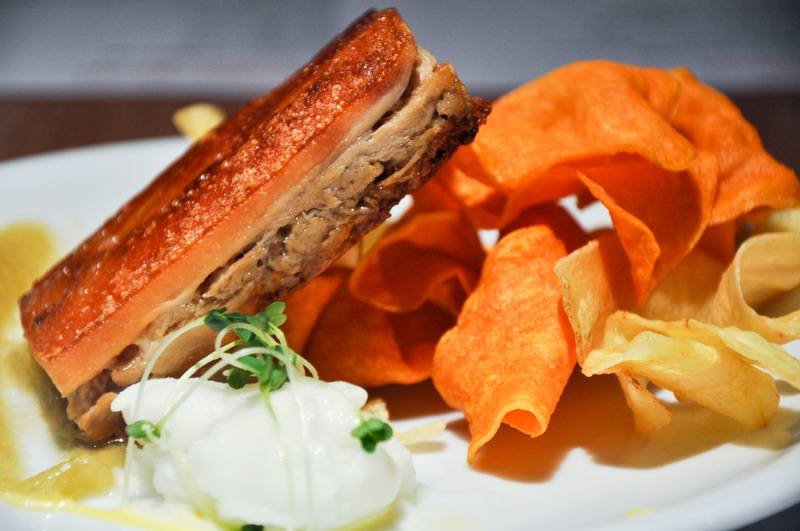 With its slick black and white exterior this newly opened modern tapas bar is a port in a storm on the less than charming Acre Lane. 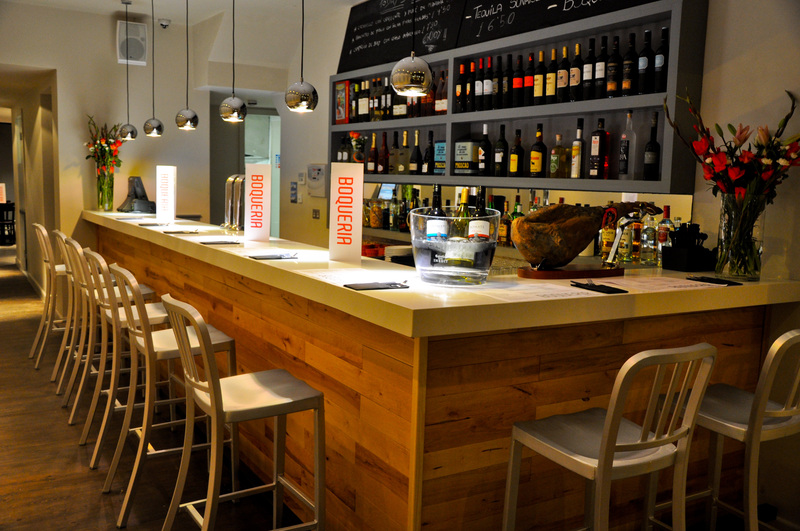 The bar – contemporary without being cold and poseurish – is on the right of the entrance, the ideal pew to quoiff one of their speciality Cavas. Just as dry and spot-hitting as Prosecco, from a reasonable £5 a glass. 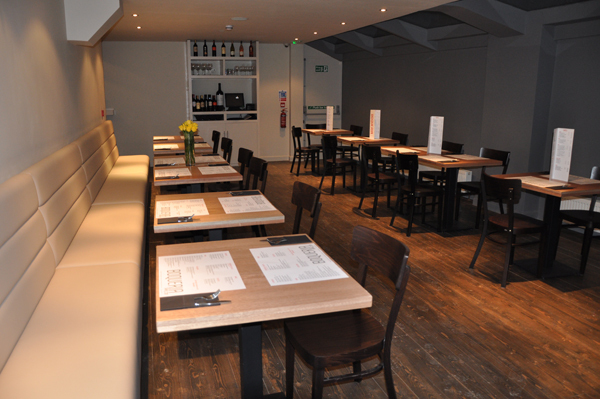 The main restaurant lies beyond the bar, with a larger space downstairs that can be reserved for parties and whatnot. While I’m not really one for sitting on stools to eat, it felt more natural given the casual atmosphere. Another glass of Cava and a bowl of olives swiftly demolished, I felt sure that the Manager’s recommendations would be good ones. And of course they were. Jamón serrano (serrano ham) was a salty and delicious complement to the ham and cheese croquetas. Whether you’re up for a quick morsel or a feast, you can do it cheaply and for the best quality. 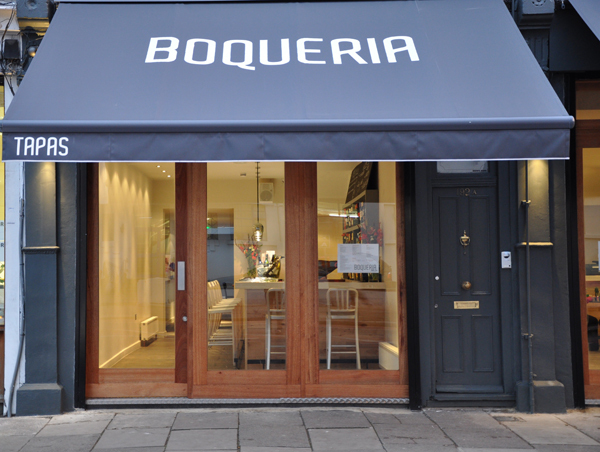 Offering the best Spanish flavours presented with modern flare, Boqueria seriously ups the Tapas ante.